Today’s capitol press corps also works hard, they stick with “just the facts” by conscientious research of their stories and leave out the speculations, “what-ifs”, opinion and political slants. The men and women I knew in the Montgomery press corps then and today, may have personal views, but they all were and are vigilant in their work as professional journalists. They defended the freedom of the press and the right of the public to know the facts and events of public officials, their decisions and actions that will impact education, taxes and the economy. Over the last few years, an ongoing debate has emerged as to whether reporting on political news is still just the responsibility of professional journalists and whether online bloggers can be a trusted source of news reporting. The contemporary capitol press corps, like their colleagues of a bygone era, work hard to meet their deadlines. These professional reporters put in long hours by getting evenhanded quotes, verify pertinent facts and simply report an issue, controversy, or an event in an evenhanded way. Online bloggers will do the same but add twists of innuendo, supposed behind the scenes reasons, and anonymous inferences. Often the online ‘journalists’ story will present a story but give contorted extraneous, often incendiary, perspectives which have no basis in reality. Some suggest this is done to enhance the number of online “clicks”, make the story more salacious, attack someone’s reputation either directly or indirectly, make it cynical and infer insider deals and corruption – and you will get your clicks! In many cases, stories are published by journalists only to be later “reinterpreted” by online bloggers with an editorial or political agenda. Because of the cynicism and negativity that this new 24/7 online blogging creates, I have heard of many good men and women who would otherwise wish to give back to their communities by serving in public office essentially say – no thanks! They have spent a lifetime building up a good reputation in their communities and businesses. They cannot imagine where a pseudo-journalist, who is trying to build their reputation by the number of online clicks they get, can get away with attacking someone’s reputation in such a careless way. We must make sure that individuals get the news and information they need to be informed, responsible citizens. Those sources can be from journalists, bloggers, and other digital platforms. Let’s be vigilant about the freedom of press whether it is old fashion, hard-nosed journalism or 24/7 blogging. However, let’s also clearly delineate whether it is political opinion and gotcha stories whose sole purpose is to tarnish reputations and add to further public alienation from politics and cynicism. Opinions are great and important to public discourse but see them for what they are – opinions of one – do not try to mask those as ‘facts’. Recently, the Alabama Political Reporter brought the documentary, “Atticus and the Architect”, to the Davis Theatre in Montgomery. A packed house watched the story of former governor, Don Siegelman’s persecution. The film left no doubt that Siegelman was prosecuted for political reasons. Siegelman spent close to ten years in prison, unduly. 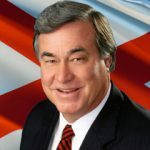 It is one of the saddest stories I have witnessed in my lifetime of following Alabama politics. The travesty has not gone unnoticed by young potential leaders in the state. I have the opportunity to get to know some brilliant, young Alabamians in my University classes on Alabama and Southern politics. Many of them are political science and prelaw majors. I will inquire as to whether they are interested in pursuing a political career. Most will tell me that they would never seek political office, not even a judgeship. Invariably, they will point to the Siegelman prosecution as one of their reasons for not being a part of the political process. They realize that their lives could be ruined by political persecution.